Hosta 'Kiwi Full Monty' is a sport of hosta 'Striptease'. 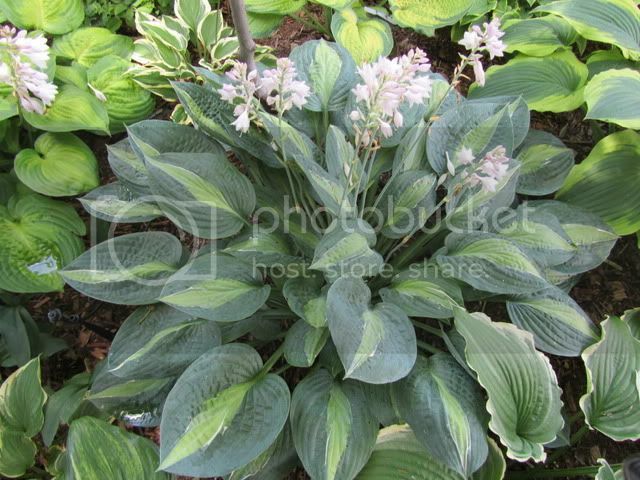 It's a beautiful hosta with dusty blue leaves with a chartreuse center and a thin white line between the center and margin. I had the honor to meet Barry Sligh who originated this hosta at the Indianapolis Hosta Convention a few years ago. Barry lives in New Zealand, which is why all of his hostas have Kiwi in the name. I would love to visit his gardens someday. I own a few of the Kiwi hostas, and I love them all. 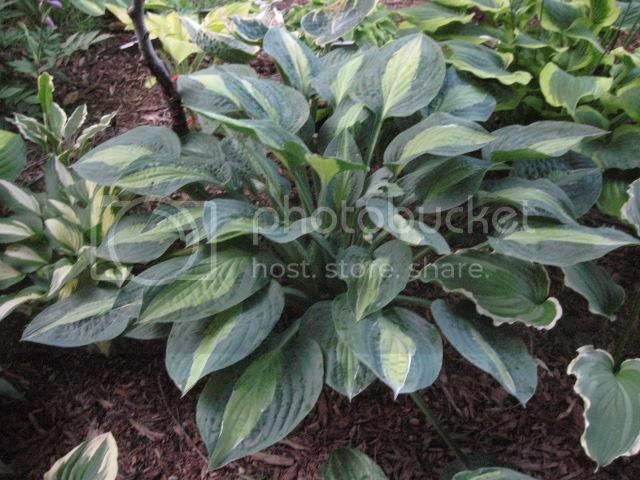 Pair this hosta with gold, chartreuse, and green hostas to bring out the blue color.